It’s not easy keeping up your spirits when winter and polar vortexes catapult the thermometer in to a region well below zero. What do you do to keep out the invading winter blues? Some people fall prey to the knighthood of long dark nights when the kingdom of cold invades. It is possible not to fall to the avenging onslaught of relentless waves of killer cold fronts, but you have to work at it. You have to look for it. You have to venture out to see the beauty of the season. That may mean adjusting your schedule a bit. The Golden Hour is mid-afternoon, that last hour when the landscape turns gold. On a holiday, such as New Years Day, the first sunset of the year is mid-afternoon, about 4:30. That is when I forced myself to break free from the clutches of the cold to get out with my camera to capture the day. One of the things I’ve come to discover about North Dakotans is they accept the things they cannot change and change the things they can. So, when record-breaking cold weather sets in, they know they can do nothing about the weather, but they can do something about their own comfort or their own activity. Of course it’s easier to do nothing and fall prey to the demons of darkness. Taking a step to fight back is what many healthy people of the cold north such as North Dakotans do every winter. Some will go cross-country skiing. 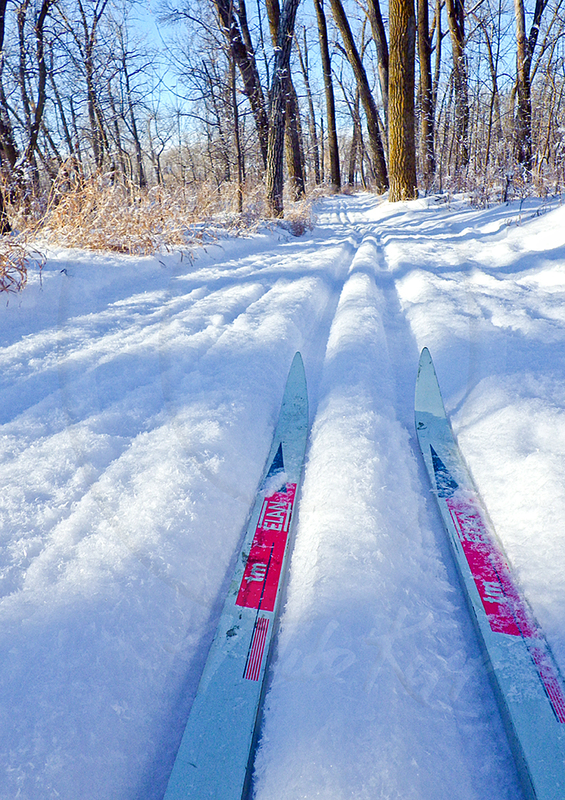 Cross Ranch, a quiet state park where groomed cross-country ski trails weave through a cottonwood forest that stood here when Lewis and Clark tugged their boats up the Missouri River. For some of us, it means layering up. I’ve spent the coldest days of the winter working in my anti-starvation work. Outside. Attempting to stay warm while keeping the bills paid.I wear as many as 7 layers of clothing when I know I’ll be working outside. 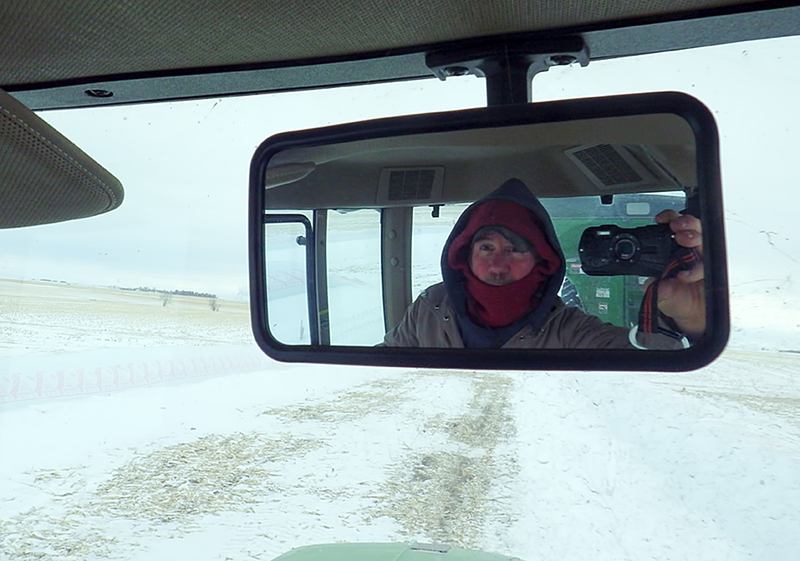 I caught this image of myself in the mirror of the tractor I was driving. 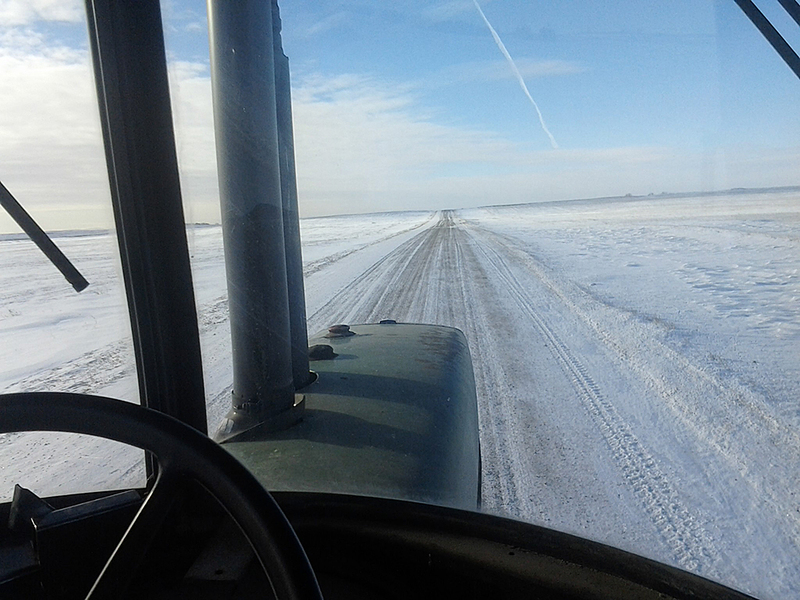 The John Deere way to view the winter. Not everyone has to work outside. And not everyone can resign themselves to the fact there are some things (like cold weather) that you just can’t do much about. Sure, North Dakotans could sit at home and complain, and wait for spring, or they could get out and do something about it. The North Dakotans I know choose to enjoy it. For some, that means racing up a hill in to town. Or for some who know they can’t change the weather, but they can change their activities, it means diving in to those winter hobbies. 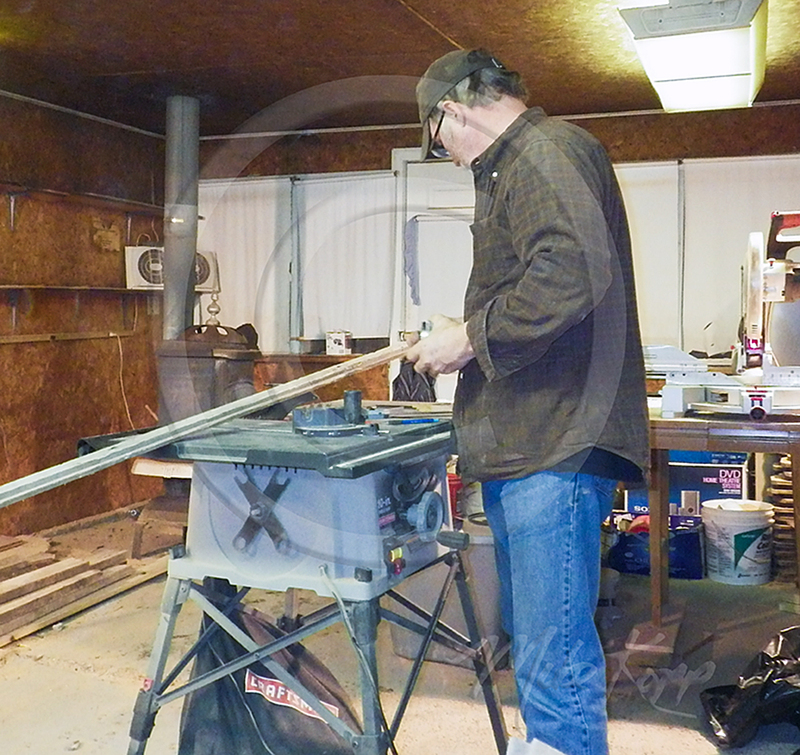 I’m fortunate to have a wood shop where I teach myself how to build wood frames for my prints. 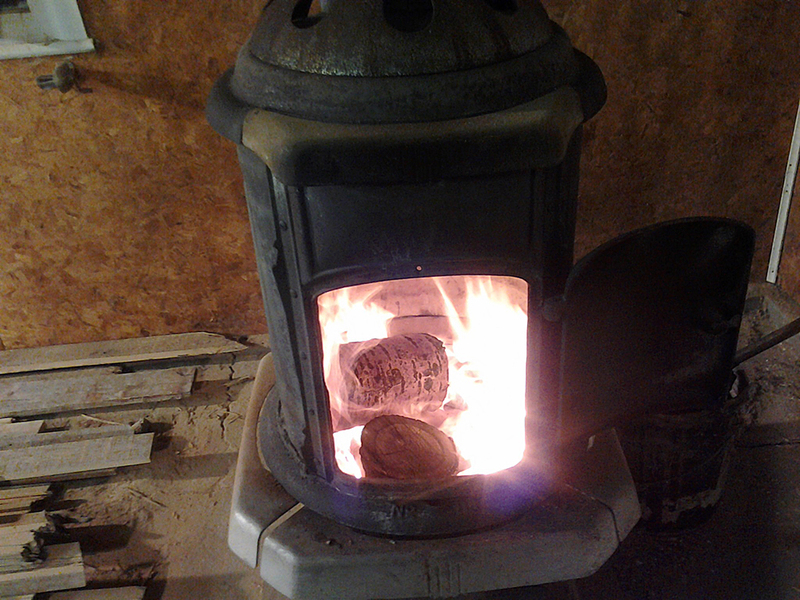 Wood burning stove keeps things warm and friendly on a cold winter night. The wood stove sits quiet, unused and neglected much of the year. However, this time of the year, it’s actually a rewarding way to get out of the cold. I love burning wood to stay warm. It’s all about attitude, isn’t it. I think that’s one of the healthiest things about North Dakotans. They work at keeping up their spirits when the cold keeps out the riff raff. 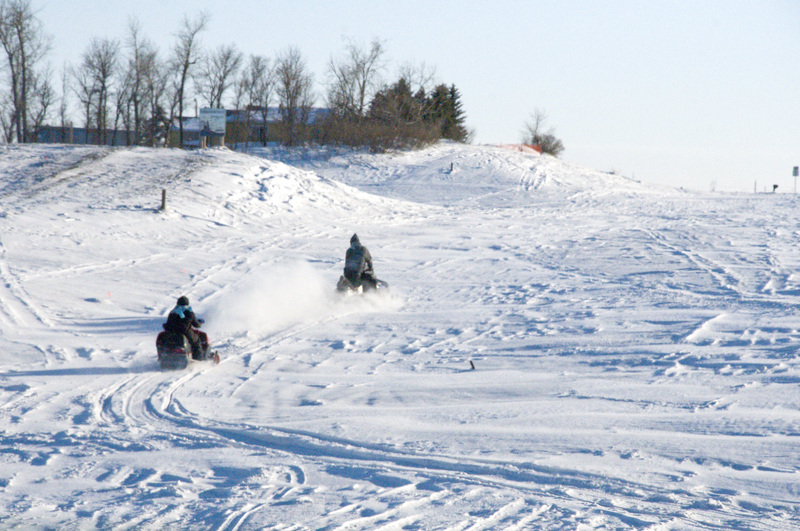 What’s a good way to enjoy winter and beat the winter blues? How to silence the noise of the day. I’m tired of the noise. Aren’t you? The noise of the election. The noise of culture clashes. The noise in my own head. So, when an assignment to shoot landscape out west, came along, I jumped at it immediately. The assignment was to photograph 20,000 acres of land along the ND/MT border that hadn’t changed much since Theodore Roosevelt ranched and hunted there in the late 1800s. 20,000 acres is about 30 square miles of rugged ranch land; the Beaver Creek Ranch. It was a warmer than normal November day, and weather conditions promised good light and good temperatures for exploring. The further west we went, the more noise I left behind. On the North Dakota/Montana border we turned north off of Interstate 94 on to a state highway, (we = Mary, Gunnar the foster dog and me). Instantly, traffic disappeared; as far as we could see, the two-lane highway was ours. 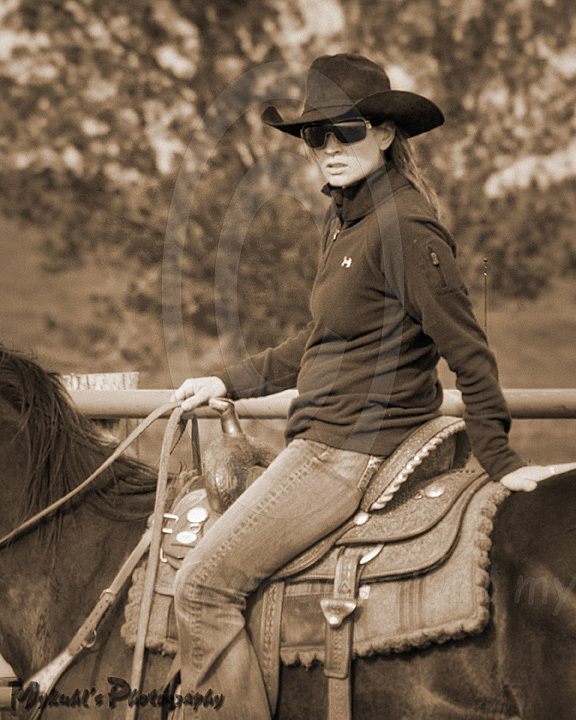 Our mission was to find the rancher who owned the land designated as PLOTS land – Private Land Open To Sportsmen. The sign marks land set aside under a cooperative agreement with the rancher. It is Private Land Open To Sportsmen, or PLOTS. We saw the triangle signs marking PLOTS land, but it wasn’t what we were looking for. Oh-oh! The noise in my head started coming back as I searched fruitlessly for the region I was assigned to photography. I was frustrated, and so was the dog. He wanted to get out to explore, so did Mary and I. We kept driving. The old saying about finding your destination in North Dakota is true: If you think you’ve gone too far, you’re halfway there. We checked out one gravel road to the east. A herd of antelope grazed in a hay field. That’s not what we were looking for, but it was a promise of things to come. Things were getting quieter. Antelope – or prairie goats as some people call them are wary critters who keep a long distance from people. Back on the highway, a bit farther north and we found it. The Beaver Creek Ranch. And wouldn’t ya know it, there it was, right on Beaver Creek. The Beaver Creek Ranch PLOTS acreage is well-marked and includes a map that designates three parking areas. The area is for foot traffic only. Earlier, I had called the rancher a couple of times and left voice mails, but got no reply. I did get hold of one of the sponsors of the PLOTS program who told me to go on in. He said I’d find at least three parking areas and recommended the one further in, back by the corrals. The road starts out like a gravel road, and later it becomes a two-track trail. We rumbled and rocked across the basin where Beaver Creek meandered. The beginning of the road in to the Beaver Creek Ranch is an easy gravel road until it turns in to a two-track trail that leads to a parking area. The bottom ground is the bottom of a basin that is sliced by Beaver Creek. The rancher has one bridge but most of the time, he has to cross the creek by fords. The bridge over Beaver Creek. By the time we got to the corrals, the day was ending, the sun was setting and the moon was rising. Now that may sound like a bad time to arrive, but it was a good time. It’s called The Golden Hour when shadows show contrast and the landscape is golden. There was no noise, not in my head, not in the surroundings. While the sun was still illuminating the golden rocks, a nearly-full moon rose. As Mary explored the hills and ridges to the south, I went north. A two-track trail gives the rancher access to the southern part of his ranch, but it’s foot-traffic only at this point. A parking area is at the start of this trail. It wasn’t exactly silent, there is always a bit of a breeze rustling the grass and sweeping around the rocks. But that’s not noise. That’s a lullaby. It’s soothing enough to make a fella breathe easy. When I got to the top of the ridge and looked below me, the entire basin of Beaver Creek Ranch wandered northward from my perch. The longer I gazed, the more I could see. And none of it was noisy. To the north, the rancher’s access road snakes through the hills. I sat down and traced the distant trails where deer and cattle crossed the basin. I scouted the hills to the north to trace where water flowed down to the creek, and where the rancher could access further pastures and hills to the north. The sun was setting, the colors were turning gold and the contrast of shadows on the bluffs slowly covered the landscape. And there was no noise. Once the sun disappeared, wildlife appeared. Mule deer abound in the region. The area also includes turkeys, coyotes and elk. There is evidence that an occasional mountain lion crosses the region. 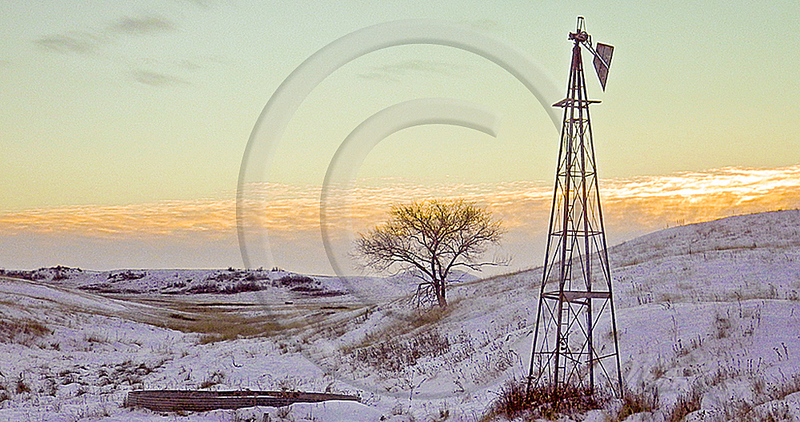 It’s the absolute contrast to the noise of civilization, a part of North Dakota that many people don’t know about. Does that sound like something you could use in your world? Glad to give you directions if you want. Reasons to see North Dakota in the fall, photo safari — Evening gold Pt 1. This fall, I’ve taken to exploring the last hour of the day with camera and dog. That’s easy to do because the golden hour is actually pretty early these autumn days; the colors are warm and the contrasting light is illuminating. The golden hour, the golden sunset and the golden colors are striking. About 4:00 or so, the dog gets pretty alert and by 5:00, he’s ready to go. He’ll pace back and forth or stand by the back door until I am ready. Then he gets to the truck to wait for me, and off we go to find an abandoned section line road to explore. 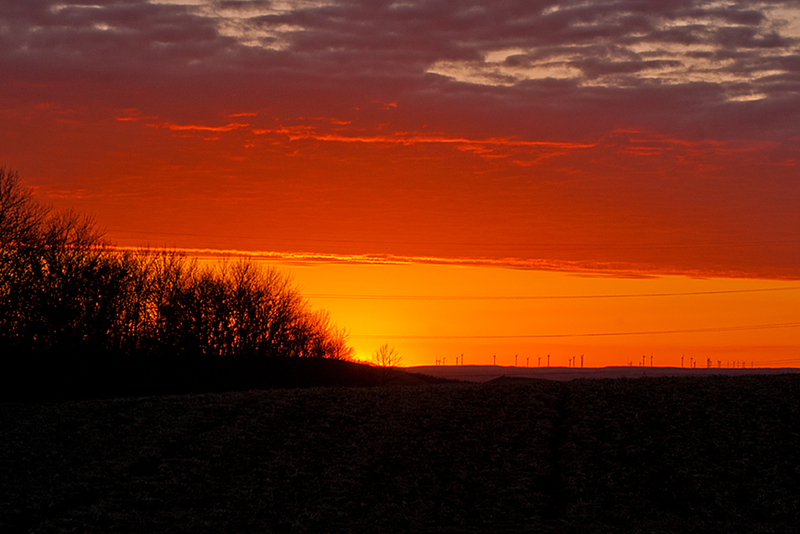 Even just eight wind turbines disrupt the horizon. Imagine what 105 turbines do to the landscape. Up until about 8 years ago, there were more opportunities, but more than 100 wind turbines were set up south and east of me. There’s not much enjoyment in shooting miles and miles of wind turbines. I find them to be intrusive. So to avoid the wind turbines, now I explore west and north of Wilton, mostly north. There are not too many golden hour opportunities to the west. The Missouri River is about 8 miles from me, the hills and valleys separate section line roads. I stick to roads and section line paths, staying off private property, so there are not many chances to get out and photograph the area without trespassing on a farmer’s property. I’ve been heading north of Wilton where there are more gravel roads and abandoned section line roads. Our routine is similar each night. We drive until we find a good place to stop, then walk, looking for patterns, images to capture. Well, I look for them. The dog, he’s just off running. It’s his free time. I couldn’t see any approach roads. It’s just a house in the middle of the stubble field. Sometimes we come across a surprising revelation. In this case (photo below), we parked the truck, hiked up over the hill and caught the lower valley beyond the hill. An abandoned house with no noticeable roads or lanes nearby, just sitting in the middle of a small grain stubble field. No longer yellow and green, but still attractive with the nubbly texture of a raw sunflower head. Other times we walk along a yet-to-be harvested field. As I noted above, sunflowers are some of the last to come off, weeks after small grains and beans. Hauling roughly a half-semi trailer of grain, a powerful John Deere on tracks not wheels heads to the working combine to unload the combine hopper as it keeps moving down the rows. Sometimes we’ll be headed down a trail, and can hear the sound of million-dollars of machinery working. Fields are so large that farmers need a grain cart pulled by a high-powered tractor to collect the grain from the working combine out in the field, and then haul it to the end of the field and a waiting truck. Drive or walk to the other end of the section and you’ll come up on the combine doing it’s season-ending work. .
Sunset behind, the farmer keeps working to finish his cornfield. It’s not too profound of a statement to say that this is an agricultural area, but that does not mean there are not opportunities to get in to wildlife regions. I’ll see what I can do to show you that, next time. Do you have fall hiking areas in North Dakota that you can recommend? What are section line roads like in your area? Between the rancher’s fence lines is what used to be an active road, a section line road laid out on every section on one-mile grids. Most are no longer accessible or visible. Five tips to get your best photos from the North Dakota Badlands. Want pretty pictures of the Badlands? Go buy a post card. 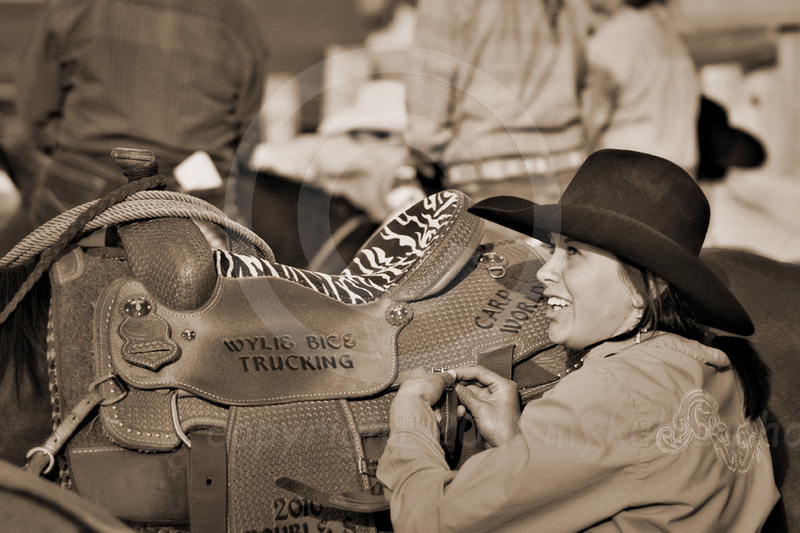 Want to capture your own one-of-a-kind keepsake memory of the Badlands? Go get it. It’s easier than you think – if you are willing to slow down, get out of your car and look for it. Just about suppertime, from any high point, venus’ belt makes a good backdrop for your landscape photo. There are thousands of square miles of unsullied beauty in the Badlands of North Dakota. In those endless horizons are millions of your own scenes to capture, frame and display back home. Here’s how in five easy tips: Timing, Temperament, Tools, Tenacity, and Technique. Timing – it’s all about light. 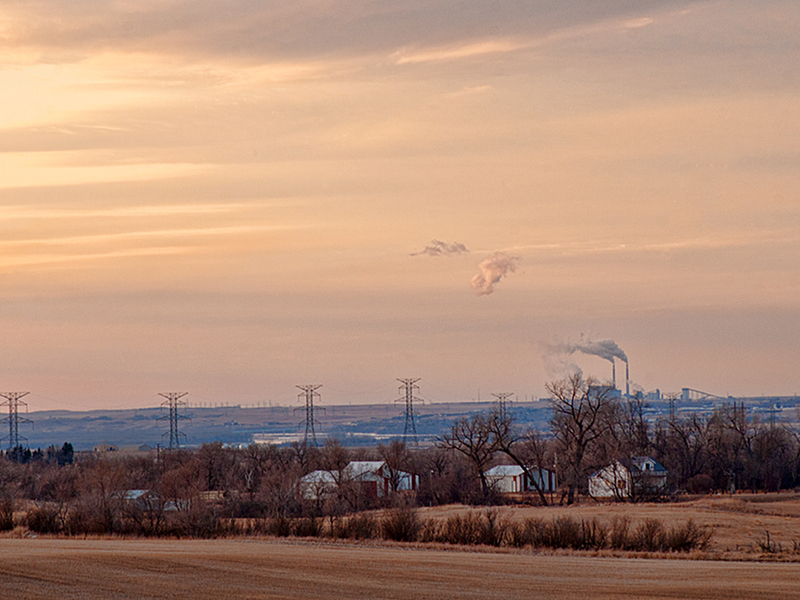 North Dakota is blessed with clean clear air. Smog? Nope. Hazy humidity? Gone. You’ve got unfettered access to the sun, almost. You’re still 95,000,000 miles from it, but that’s close enough to get the shots you will want to display. Avoid mid-day when the sun is high and bright. As you know, the Badlands are endless contours of bluffs, buttes, slopes, hills, canyons and valleys. It takes shadows to show them and those shadows are strongest early in the morning or late in the day. Contrasts and contours are hidden most of the day. Once the sun begins to lower the shadows present a great view of the bluffs and buttes. Shooting at the ends of the day means you also get the advantage of the Golden Hour when the solar Rapunzel lets down her golden locks and the landscape takes on a golden or yellow cast. Generally, that’s the first hour and the last hour of daylight. Depending on where you are in the Badlands, you could be out at sunrise which is about 5:45 a.m. in June, or out at sunset which is about 9:45 p.m.
And if you like to take sunset photos – turn around. Put your back to the sun and shoot Venus’ Belt as it appears in the east at sunset. Temperament – take it easy, but keep moving. If you want to jump out of your car, run to the edge of an overlook and shoot the scene, you are better off performing that activity at a gas station where you can run in and buy a postcard. Sadly that’s what many people do, drive through one of the Theodore Roosevelt National Parks, pull over to the side of the road, snap a shot and head home. Park your car, (you don’t want it to roll away down a bluff or butte) and walk. If you’re stopped at a ridge or hilltop, you’ll have a relatively easy time finding a vantage point. If you are down below, be prepared to hike. You don’t have to hike to the tallest point, but the higher up you go, the more you will see. The trails that have been cut in the parks, or the Maah Daah Hey trail make it easy to walk to the top. You can make your own trail as long as you are on public land. Make a zig-zag “Z” pattern of switchbacks up the hill, stopping at each point on the repeated “Z” pattern. It’s encouraging to see how far you’ve climbed and at each point, you get a new view. Tip: Don’t get in a hurry. Don’t get in a hurry. Take time to look — and feel. You’ll feel the shot more than you see the shot. Absorb – that’s the key activity. Absorb and feel what you see. It takes a quiet and still temperament to absorb what you are about to see. It’s in that moment of absorption that you can see the details, the shading, the colors the contrasts that will give you the image you want to capture. Public groomed trails such as the Maah Daah Hey or other marked trails. Gravel roads and two-track trails to show you where to get off the highways. Points of Interest – historical, geographical and topographical. Topography – the closer the lines, the more steep the terrain. Water – most of which is not drinkable. The U.S. Forest Service Maps are updated regularly. 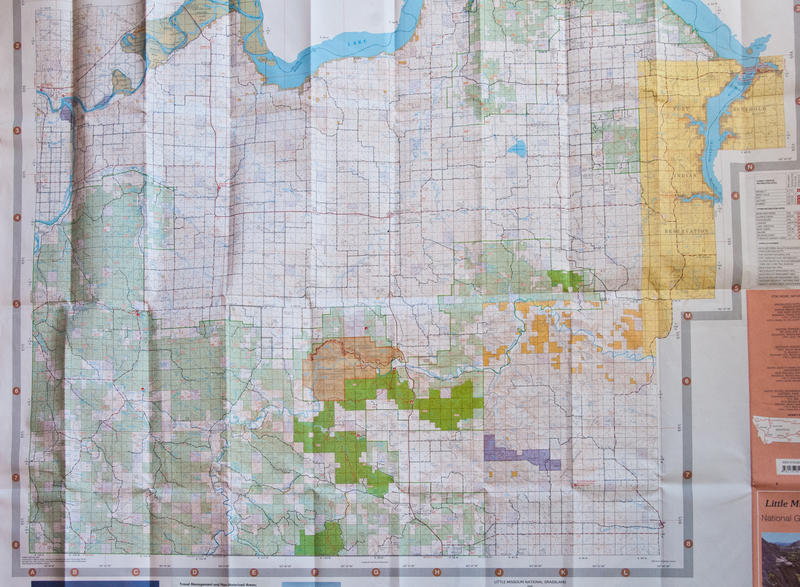 You can get the latest map from the visitor centers at the Theodore Roosevelt Parks, or at the US Forest Service Office in Bismarck, Watford City or Dickinson. They cost about $13. They’re worth it! The U.S. Forest Service map costs about $13 and is the most valuable tool (other than your camera) that you can buy. A GPS on your phone will give you the precise location at any moment. With that information, you can coordinate on the Forest Service map to see not only where you are, but where you are going. A critical element is a weather forecast. North Dakota’s weather is notorious for frequent and sudden changes. It lies in the middle of the continent and several different weather systems from different direction influence conditions. So, one thing you can do is monitor trends before you set out on your photo safari. About three to five days before your photo safari, look up the weather forecast for where you expect to go. Forecasts are updated several times a day, so check twice a day, such as 7 a.m. and 9 p.m. every day. Notice the changes or trends in the anticipated temperatures, rain chances or cloud cover. 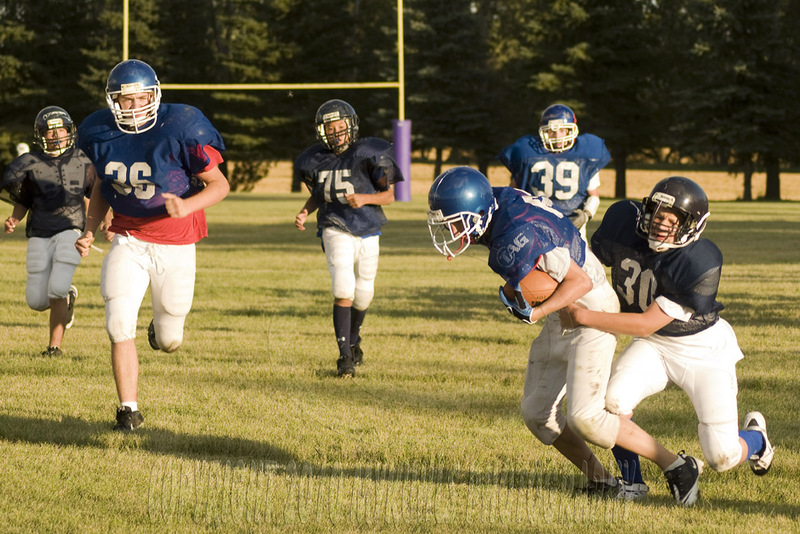 That practice will give you more of a motion picture sense of what to expect. Checking just once as you head out the door will give you only a snapshot of what to expect. It’s better to see the weather pattern than the weather snapshot. Beyond those specific tools, good shoes and proper clothing will allow you to not only get to the place where you can get a good shot, but will also provide you the comfort you need to be patient. Warm enough when temps are cool, protective enough when mosquitoes are out. Discomfort will prompt you to hurry your exploration for a shot, so get comfortable. Tip: Prepare yourself with comfort and knowledge. Tenacity – don’t stop, don’t give up. The shot you’re looking for is over the next hill. Drive, walk or ride over the next hill and you’ll see something new. If it’s not as spectacular as that scene two hills back, turn around and go back. Or shoot as you go, it keeps getting better and when you get home you can decide which one is the best shot – but keep moving. From time to time, turn around. It’s easy to get so focused on what is in front of you, that you may miss the beauty behind you. So, from time to time, turn around to see the scene you just came through. I wonder where that goes…is where great visual discoveries begin. Parallel to that question is this postulate: “I wonder where that goes.” As you see a road heading over the hill don’t be afraid to check it out—with caution. Take a short hike, or if you’re still driving and haven’t got out of your vehicle yet, take that two-track trail, but remember: it’s good to be in a reliable vehicle. There are no corner service stations out here. You need something to get over ruts and ridges and up and down the hills. The point is this. Just because where you are standing at the moment doesn’t yield the shot you are looking for, don’t give up. Investigate the next curve, the next hill, the next trail. Be tenacious in your search for the shot you want. Technique – do what you do best. What is it in the scene that you want to shoot? 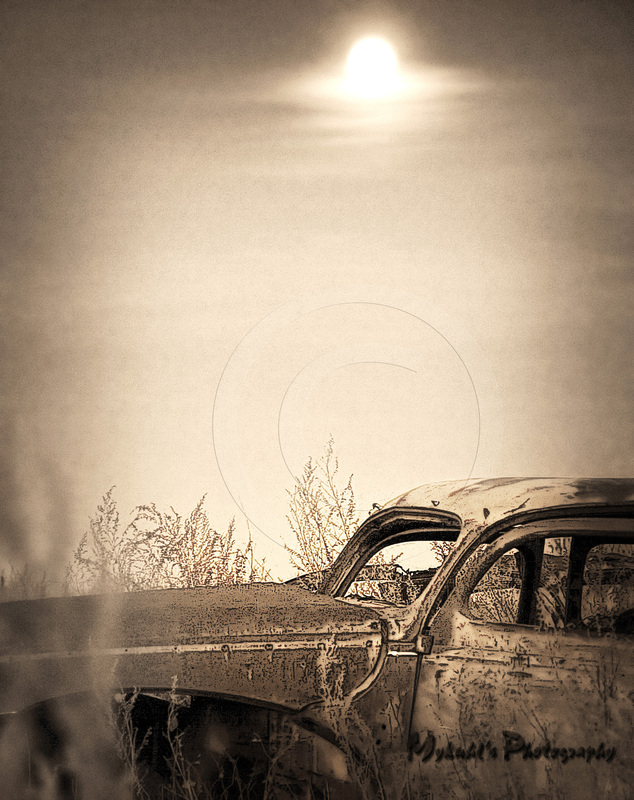 Is it the buffalo on the trail, the Little Missouri River down below, the abandoned jalopy? 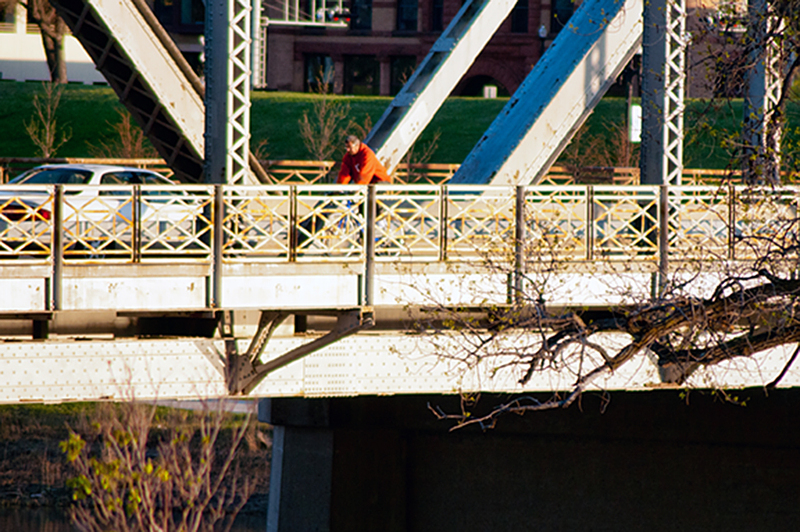 Decide what is it in the scene that caught your eye, and crop out anything else that is distracting. Avoid visual distractions, zoom in on the subject. Not all the intriguing shots are found on the trail. The next farm, the next small town may have a great shot. Zero in on what catches your eye, remove the background distractions. It shouldn’t take a viewer of your photo more than an instant to determine what the photo is about. Once you know what your photo is about, and are cropping out the distractions by zooming in on the subject, align the photo but don’t put it smack dab in the center of the photo. If you are shooting a landscape photo, don’t put the horizon right across the middle of the image. In fact, some time when you are out and about anywhere outside, notice how much of your view is sky. It’s often the majority if your view, it’s one way you can capture what you see — include the sky. On the vertical line of a tic-tac-toe board, the prairie dog! Whether it’s landscape you’re shooting, or anything else that catches your eye in the Badlands, remember the rule of thirds, and place your subject at or near one of the crosshairs of a tic-tac-toe board. Even if it’s a close-up of an image like the face of a horse, put the eyes on the third. Like we said at the start of this article, the best times of the day to shoot the Badlands of Western North Dakota do not include mid-day. At all times, when shooting outside, adjust the sun in relation to your subject. The sun should be at your shoulder. Don’t shoot in to it, nor have it directly behind you. If you put it at your shoulder, you’ll get the contrast you need to show texture and variety in your subject. There’s more to capturing the image than merely taking the photo. The bragging rights come from the adventure you took to get that shot. It bears repeating to your friends and family repeating the details of the work it took to get you to where you found that stellar shot. There are millions of vantage points in the North Dakota Badlands, got get on one and get your shot. 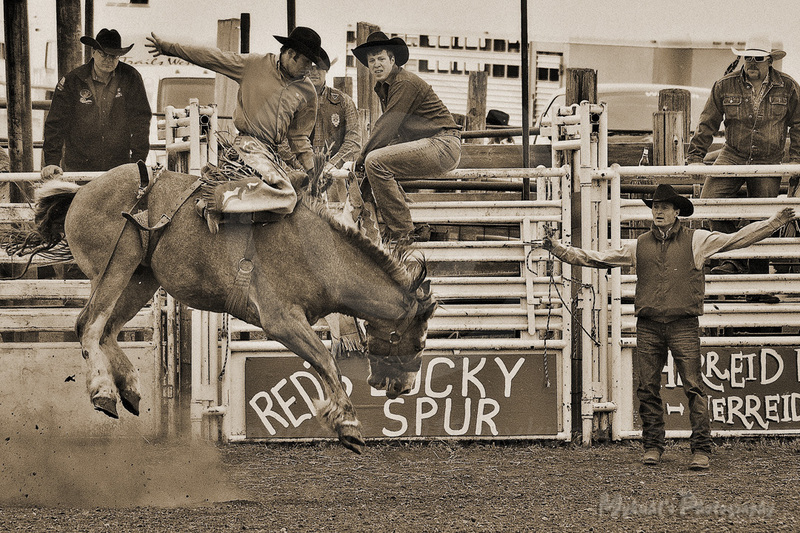 I love the Wing Rodeo — named after the little burg where the event has been held for decades. It’s as down-home Americana as you can get. 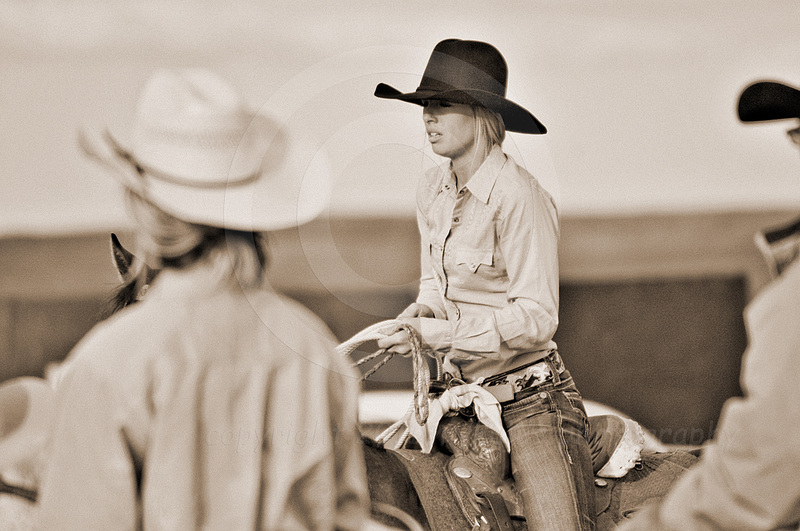 Cowboys and cowgirls from around the region gather to compete not only against each other but against the critters they ride and rope. This year, the weather was better than some years when snow and rain made a mess of things. This year, warm sunny weather gave competitors a brilliant day. Even the broncs felt invigorated. 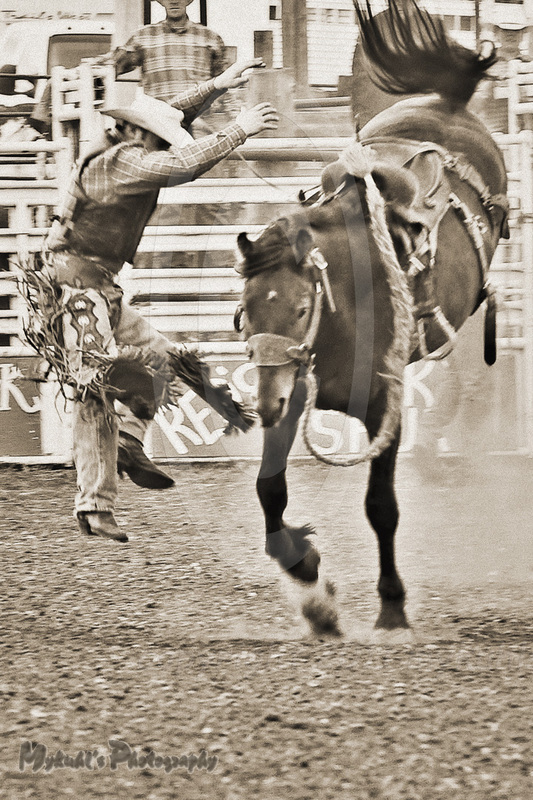 Not one of the cowboys beat the broncs to stay in the saddle til the buzzer. 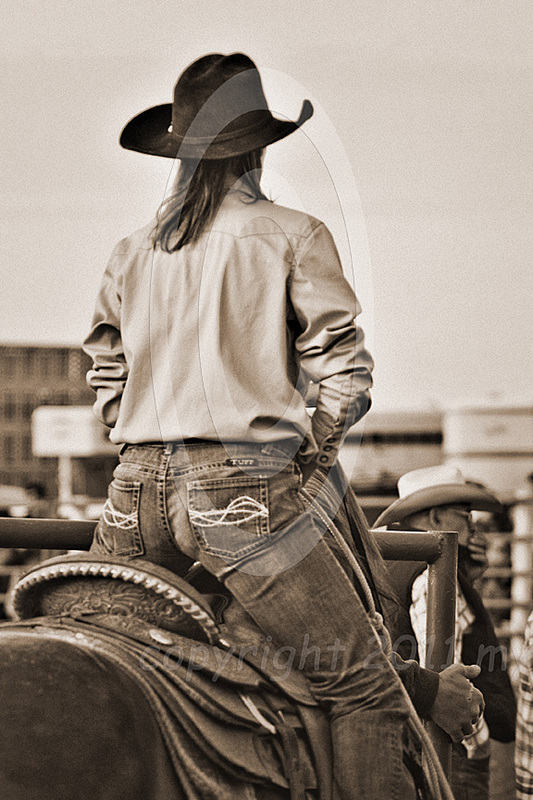 I and may camera spent a couple hours at the rodeo until the clouds moved in and I lost my natural light. The natural light of the golden hour was awesome, but those dang clouds turn even the nicest golds in to blues. Keeping in mind the contest of the down home old fashioned event, in post processing I turned a few of the images into something more appropriate for the event. In this set of photos, my goal was to capture the mood rather than the image as a snapshot. The Pontiac under the moon is one of my more complimented images. I think it would work well as one of a series of notecards. What do you think? You can see the moon barely visible just above the front left corner of the car in the trees. It was another one of those hazy, overcast fall afternoons. My goal that day was not to photograph the car. In fact, it was an after thought. 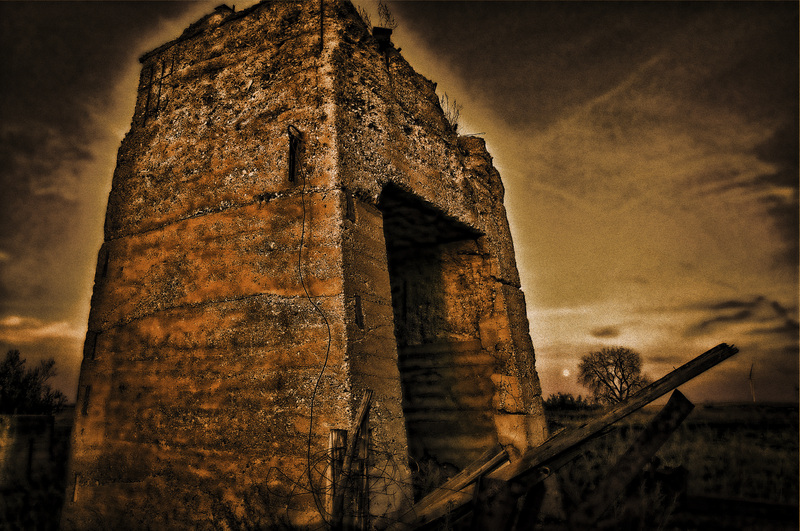 My goal was another set of images of the old Wilton Coal Mine entrance — again here stylized to represent the surreal and even “spooky” mood of that area. Photoshop filters enhanced the natural light and glow of the golden hour to create that warm surreal effect. In the photo of the coal mine entrance, can you spot the full moon? It’s just above the horizon next to the mine entrance, between it and the tree on the horizon. This scene is just east of Wilton about a mile. It captures my imagination every time I see it or visit it because of the old stories I’ve read about life during the mine’s peak — a time when this region of the United States was in its infancy and growing quickly. 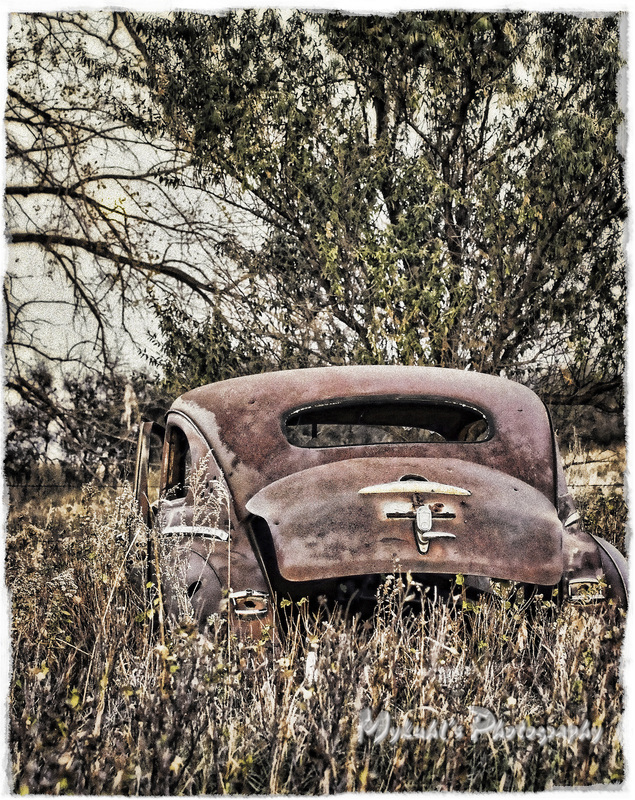 Scattered around the pasture are other reminders of days gone by including the old Pontiac. In a few days I think I’ll have to return to capture more of the imagery, but most capture more of the mood of the region. The full moon rising only added to the surreal spooky atmosphere. I dunno. How do you present an image with its natural “feel” by merely pressing the shutter release on a camera. I believe some crafty artwork applied post processing helps tell the story. 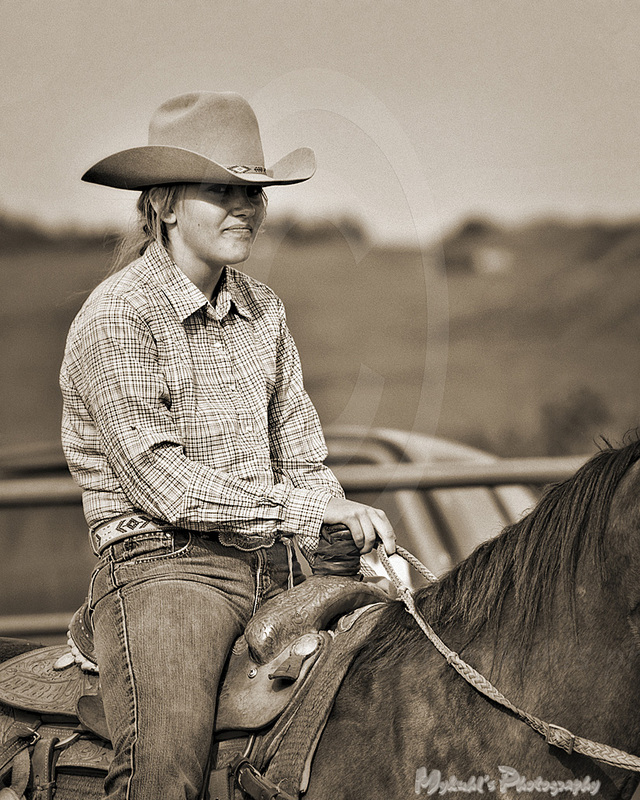 This is one of my favorite images in my year-long project of shooting North Dakota every day of 2010. Some days my photos are so amateurish and bad that I don’t post them. But on this day, just a short walk from my home I saw what might work for a good image. Of course it’s the Golden Hour, and it shows. The color is radiant in the trees and along the horizon. Most unusual (and if you’re from North Dakota, you know what I mean) there is no wind. 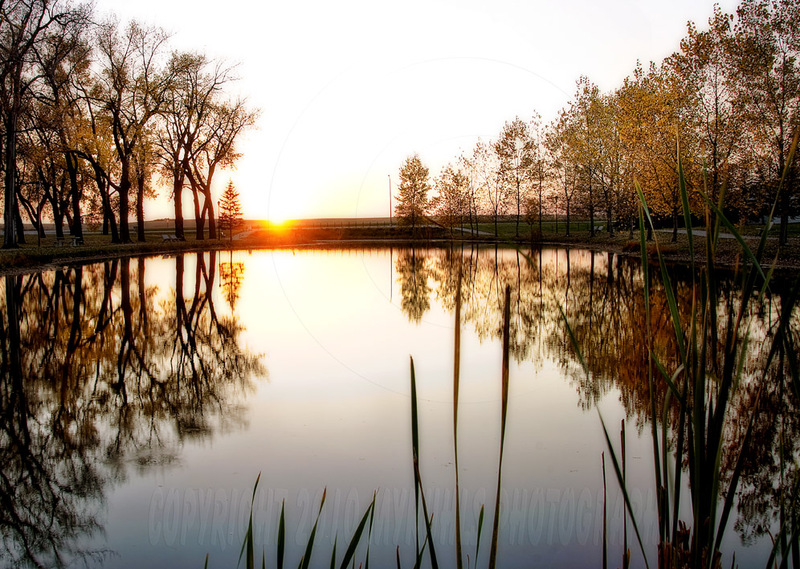 The reflective glass of the Wilton Centennial Park pond is perfect to bounce back the trees and light around it. 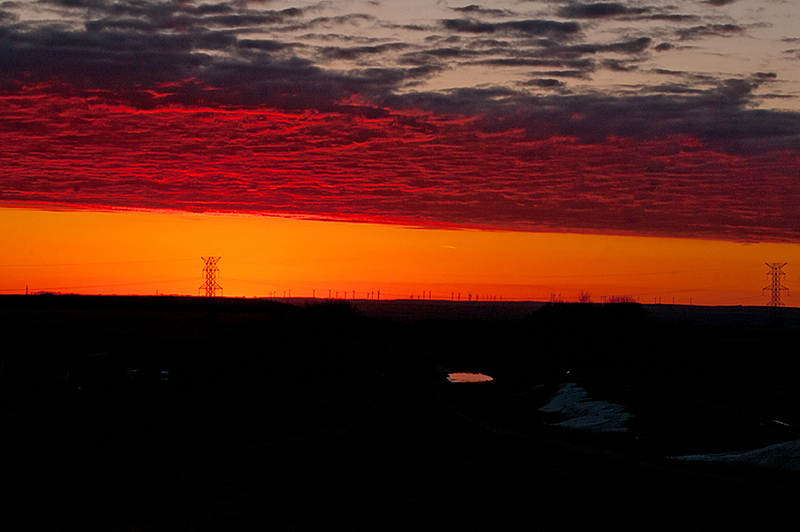 I could easily vote for this as my favorite photo of the year in North Dakota 365. What do you think? It won’t be long now and you’ll not see this site again. The building will be gone. The McLean County Courthouse at Washburn, one of the few Romanesque courthouses in the country has stood overlooking the Missouri River for a century. Compared to other structures of this age, it’s in good shape — not perfect, but good. However, it’s been overrun with bats who have caused an airborne toxicity for workers. Voters decided that indeed, it’s time to govern the county from a more modern and healthy building. My buddy Kat is a willing model and here leans against the retaining wall at the courthouse front entrance. In the long tall shot above, she’s posted against the front entrance railing. She’s wearing the right colors for the building shot in the golden hour — my favorite time of day. Shadows are long, contrasts are great and color is warm. I hope to capture and show more of this grand historic structure in the weeks to come before it’s only a mark in history. Have you noticed how the emphasis in years past was on local government and so courthouses were an important center of activity as well as outstanding architecture? In your county, does your courthouse represent an era gone by, or an edifice of modern technology? 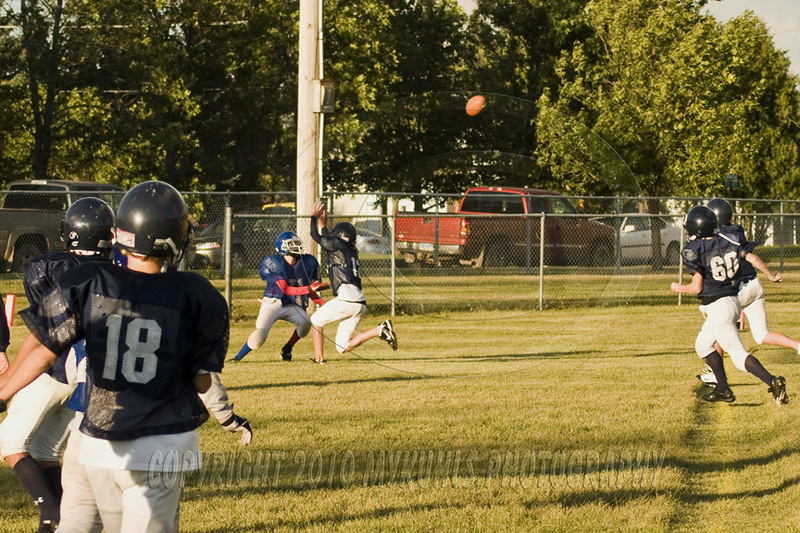 There are some things that are just plain fun to shoot — like the Wilton Miners Junior High matchups. When I’m not shooting or writing for industrial purposes, or shooting weddings, portraits or senior pictures, I like to shoot this kind of “memory.” Of course it helps that the football field is on the other side of the block from where I live. 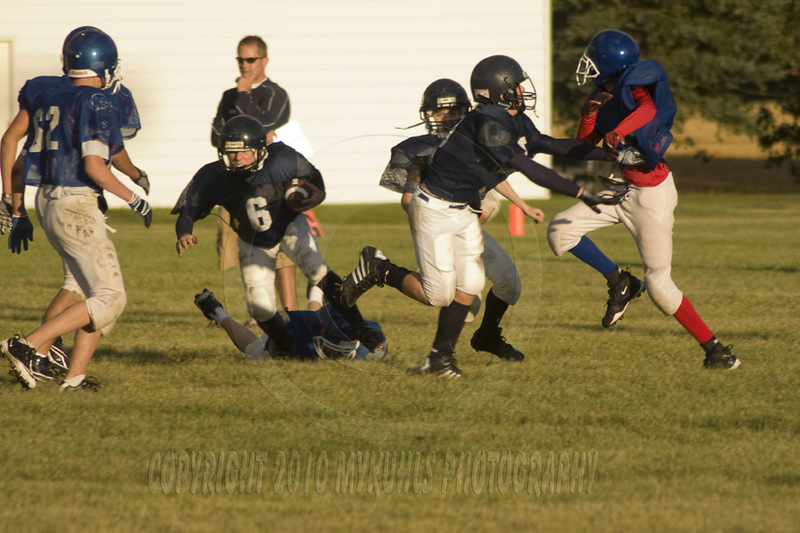 So, when I hear the official’s whistle I know there’s some action by which I will be entertained and will be able to capture some images of these future Brett Favre’s. 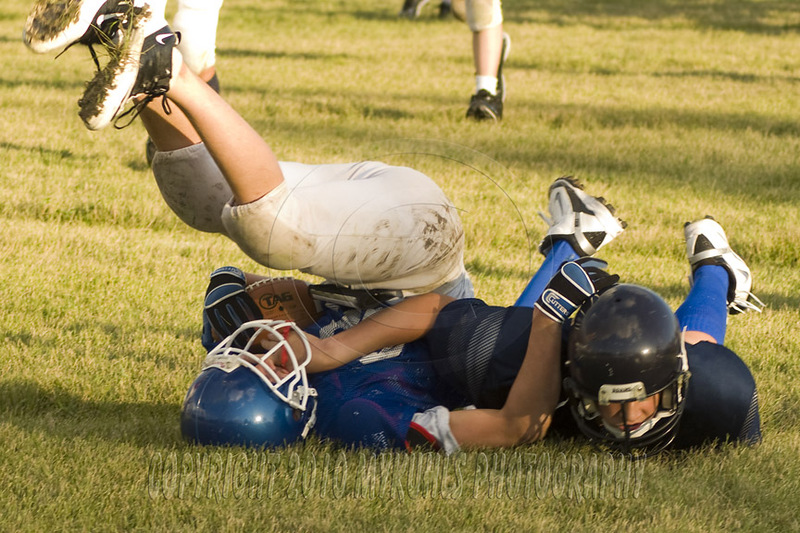 They certainly play some of the most physical and acrobatic football that I’ve seen in sometime. They throw themselves in to each play, it would seem. I’m not sure how many will continue their football career, but at this stage I’m rooting for all of them to keep on — especially since it gives me something fun to shoot on a late fall afternoon. This being a Thursday night, I know that the big kids are gonna take over the field tomorrow night, probably under the lights. So for now, this full sun opportunity to catch some action is an easy task with the light being as it is. 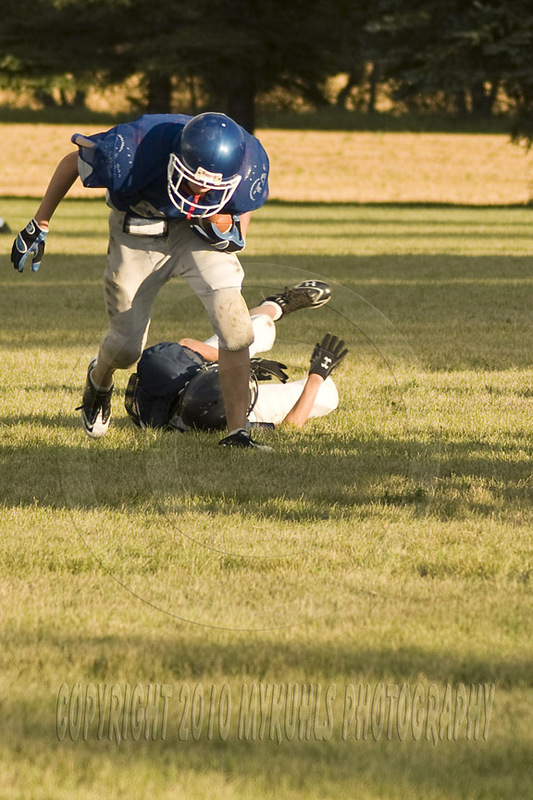 I can freeze action and get clean and clear shots that wouldn’t be as likely as under lights. Again, this is another example of the Golden Hour, when photography comes alive, when shadows are long, contrasts are good and the light is right.